Even though this watch doesn’t have MSN or tell you when someone’s calling, we’re still in love. Why? Because we love minimalist watches. 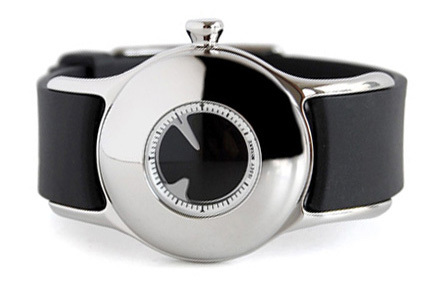 Instead of having two hands radiating from the center, this Issey Miyake OVO watch has two dials on the outside. The only way this could get any more minimalist is if the entire face was black and only lit up the time if you tilted the watch toward your face.